The Soil Pycnometer is useful to determine specific gravity of clays (passing through 4.75mm sieve), sand and gravel of size smaller than 10mm. 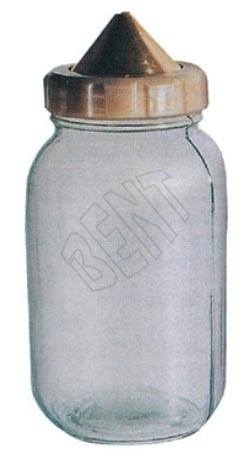 The Soil Pycnometer comprises of 1 kg honey capacity glass jar with brass cone, locking ring, and a rubber seal. Our Soil Pycnometer is available at affordable prices.